The rumor mill built up a good deal of hype for the HTC Bolt – an un-Googled Pixel XL with extra stuff like waterproofing and fancy new headphones, what’s not to love? HTC and Sprint (which has exclusivity on the phone in the US) even roped in famous sprinter Usain Bolt for the promotion of the phone. 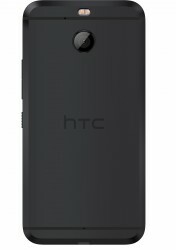 The HTC Bolt is carved out of aluminum using the HTC 10 design, but at a larger scale – the screen is 5.5” with QHD resolution. And the body is dust and waterproof – IP57, something neither the HTC 10 nor Pixels have. 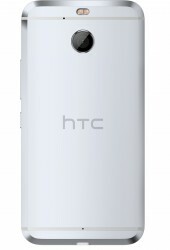 HTC specifically mentions that you shouldn’t submerge it intentionally, though. HTC boasts about the 3x20MHz carrier aggregation of the X10 modem, which will offer fast download speeds on Sprint’s LTE Plus network – faster than Verizon, AT&T or T-Mobile’s LTE networks (according to Nielsen NMP). Also, the fingerprint reader (below the display) recognizes you in 0.2 seconds and the camera on the back uses Phase Detection AF to lock focus in 0.3 seconds. That camera is a 16MP shooter with an f/2.0 lens and Optical Image Stabilization. It records 4K videos, naturally, and there’s an 8MP camera on the front for selfies (which has an Auto HDR mode). 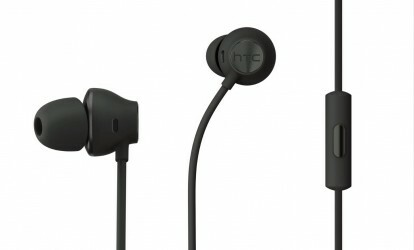 HTC went where we feared Google will go and axed the 3.5mm headphone jack. At least it gives you a pair of BoomSound Adaptive Audio headphones that plug into the USB Type-C port. They deliver 24-bit Hi-Res audio and adjust to your hearing for the optimal experience. The HTC Bolt launches with Android 7.0 Nougat touched up by HTC. Are we forgetting something? Oh, right, the chipset. 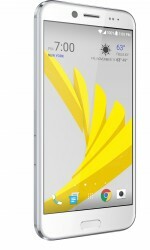 Snapdragon 810 was dug up and put inside HTC’s latest phone, coupled to 3GB of RAM and 32GB storage. You get a microSD slot to expand the storage, but that RAM is so 2015. And so is the chipset – S810 may not be the best-remembered chip from Qualcomm, but it does have the solid GPU needed to drive a QHD screen. 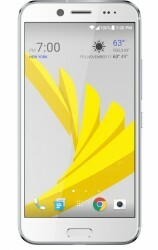 The HTC Bolt is available starting today at Sprint stores – yours for $25 a month, 24 months in a row (excluding taxes and service plan changes). If you want it off-contract, you’ll have to shell out $600 at Best Buy, The Radio Shack, Costco or, of course, a Sprint store. 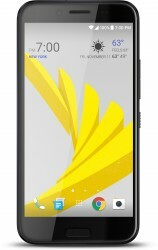 Initially the Bolt will be an exclusive to Sprint, but the same hardware might launch elsewhere under a different name.